The idea of maintaining a healthy life-work balance looks like a good idea in our ever faster, ever busier world, a top aspiration for many, mostly those who feel they work too much. Perhaps it helps some but I don’t buy into this model. To suggest that life and work must remain balanced is to suggest they are two opposites. 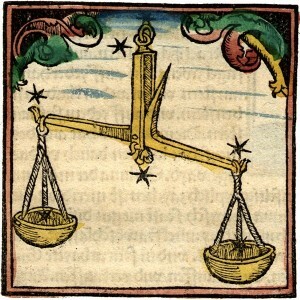 It immediately brings to my mind an image of a weighing balance scale. To add to one pan automatically upsets the other. In order to improve your work, you have to sacrifice personal life, if order for your life to benefit, work must suffer. That’s the consequence of a balancing act and achieving the fragile state of equilibrium requires constant expense of energy. To maintain balance is a never ending struggle, no wonder we so often fail. I prefer to use a different model. To me life and work are more like two sides of the same coin. Adding to one side enhances the whole. Things that I learn at home turn out useful at work, new ideas from work can be helpful for the family. My wife says: “I can be a better mother when I find fulfilment at work” – I concur. We can exercise different parts of our brains if different settings, we satisfy different desires through varied activities. I don’t stop thinking about my kids when I’m in the office, I’m happy to continue considering a new design back at home. Which model to adapt is entirely up to you and it can have great impact on your happiness and satisfaction. Choose wisely and consciously. P.S. If you feel I have brushed-off the issue of time, I did so because there is already a great answer about it: Time isn’t the problem. A nice post, on a subject dear to my heart. Pingback: Marcin Floryan » Trust. Respect. Relationships.